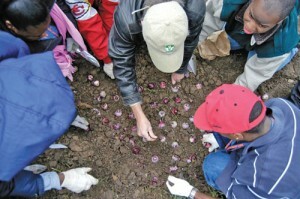 Prepare the soil, digging in organic matter to improve it where necessary. Now arrange your bulbs over the surface. They need to be at least two to three bulb-widths apart. 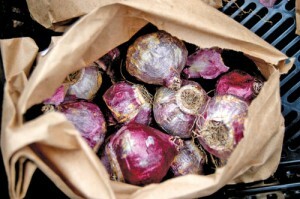 Plant each bulb using a bulb planter or trowel. 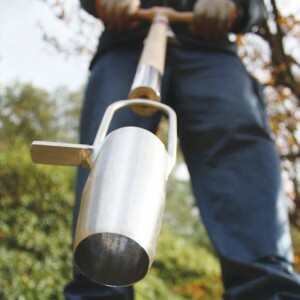 This stand-up bulb planter will save your back and is the ideal tool where lots of bulb’s are to be planted, in a lawn for example.